Kinder Downfall from Hayfield, circular route, see it here. 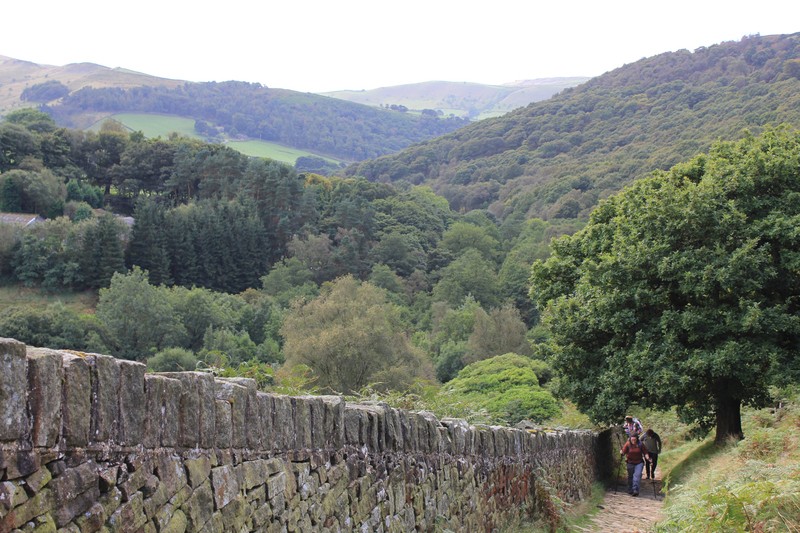 On Friday evening we leave work, and in less than an hour we’re pulling up at Hayfield Campsite in the High Peak. I’ve been wanting to Walk Kinder Scout since reading a friends blog article about it the year before, though it’s taken until now to get chance. The last time we were in the region visiting Mam Tor, the weather was horrendous with extremely low visibility, so I’m hoping the forecast weather holds. We arrive at the campsite to find my daughter and her boyfriend are already there and pitched. Our pitch is right beside them, and with our reduced weekend camping set up, we’re ready to relax with a G&T about 45 minutes later. We make dinner and then sit together looking at the stars and full moon, listening to owls hoot, discussing the route we’re planning to take tomorrow. We wake up early on Saturday to bright sunshine. I get breakfast on the go for the 4 of us, then we set about packing our backpacks ready for the days walk. I’d chosen the campsite due to it’s proximity to the start of the route we plan to follow, and after a hearty breakfast and checking we’ve all got water and supplies for the day, we set off. Leaving the campsite we walk across the road to the starting point of the walk, where we pause to look at the sign commemorating the Mass Trespass of 1932, when walkers joined forces to defend their right to ramble. We check the route again, set our various GPS tracking devices and head off towards the first section of the walk that takes us up past Kinder Reservoir. As we walk, the sun climbs higher and as we start to gain height and our pace slows. More of the stunning landscape reveals itself, providing some stunning photo opportunities. We take frequent stops, mainly to take photographs and catch our breath. 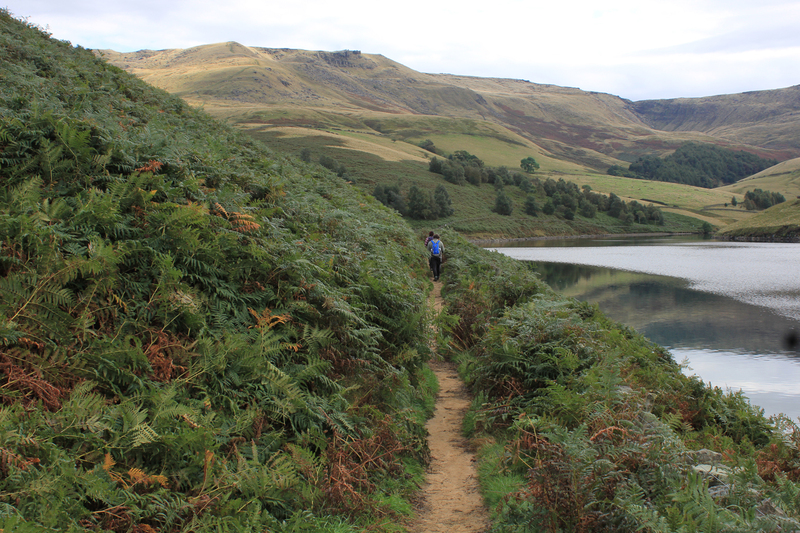 Once we clear the reservoir heather lines the path as we make our way towards the next climb which takes us up the side of Grinds Brook. The terrain starts to get rocky as we walk continue up via William Clough to reach the plateau of Kinder Scout. The weather remains on our side, and we stop when we reach Kinder Downfall for a long lunch, sunbathing and more photographs. One of the reasons why our walks always take so long – stopping at every opportunity to take photos! We stop near Eadale Cross to check the GPS to make sure we are still on the right route, and to make sure we can find our way back down into Hayfield. We head back down to Hayfield and immediately make a beeline for the Sportsman Inn where we enjoy an enormous meal. The food is excellent and after over 6 hours of walking, we’re delighted to get a proper breather before making our way back to the campsite for a well earned shower. The post Kinder Downfall to Hayfield Circular Peak District Walk appeared first on Camping With Style Travel & Adventure Blog.